European fishing has an adventure for everyone. Whether you are looking for sea fishing, lure fishing, fly fishing or coarse fishing Europe has it all. It is home to some of the most breath taking fishing destinations on earth with some of the most incredible species. 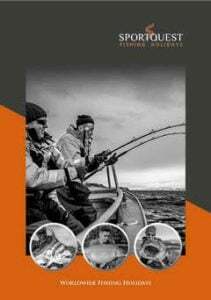 From the monstrous Marlin that inhabits the warmer waters around the Azores to the majestic Salmon that swim the fast-flowing rivers of Norway, fishing in Europe can offer the travelling angler some spectacular sport. The sea fishing in Europe is amazing as these nutrient-rich waters hold some brilliant fish. For the best Cod fishing head to Norway where the enormous Skrei Cod run at the beginning of the year with camps such as Soroya and Mefjord giving anglers the chance to catch a 100lb fish. Once these Norwegian waters warm up other leviathan like creatures move in and you have the chance of catching a 200lb plus Halibut and a 35lb plus Coalfish along with some massive Plaice. Destinations such as Lofoten and Havoysund have proven to be big fish areas. When it comes to Coarse fishing Europe can boast some very good quality angling. For the avid Carp angler looking to hunt a big chunk of a scaley beast, Hungary is the perfect destinations. The lure fishing that Europe has to offer is also extremely good with countries such as Sweden holding vast amounts of very large Pike, Perch and of course Zander which we find hard to catch over here in the UK. Fly fishing in Europe can be phenomenal with some of the famous rivers in Norway and Iceland all holding some extremely beautiful fish. These rivers, along with the still waters that surround them, are visited every year by anglers heading out to catch the majestic Salmon, hard fighting Trout or the pretty little Arctic Char. One type of fishing that you may not think of when thinking of fishing in Europe is big game fishing but the big game fishing in Europe can prove to be very good. Destinations such as Madeira and the Azores give anglers the chance to battle with that magical Marlin over the 1000lb mark. You can also catch big Tuna, Dorado and many other big game species. If you have any questions about our European fishing trips you can contact us in the office or request a free brochure.